Advancements in smartphone technology have made high-grade, professional-quality photography more accessible than ever. But great photographers require more than just a camera. No professional photographer would be caught without a tripod to keep a shot steady. The Gekkopod Mobile Smartphone Mount is built to be the perfect mobile tripod, and it's available now from the TechnoBuffalo store for just $19.95. 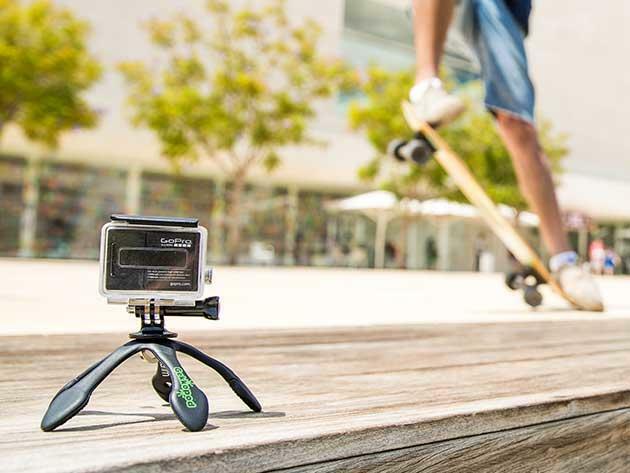 The Gekkopod Mobile Smartphone Mount is a miniature tripod designed specifically to mount your smartphone or GoPro camera. Its rugged, waterproof build makes it perfect for your next outdoors adventure. It's even designed to be placed on any surface, even on top of rocks and in trees. If you're not the outdoors type, the Gekkopod is ideal as a car mount or iPad stand. The Gekkopod Mobile Smartphone Mount is available from TechnoBuffalo now for the special price of $19.95 — that's 20% off the regular price of $24.95.